White House Shrugs Off Stock Market Plunge - Joe.My.God. The White House on Monday said the country’s “long-term economic fundamentals” remain “exceptionally strong” after U.S. stocks dropped sharply earlier in the day, extending a massive sell-off on Wall Street. 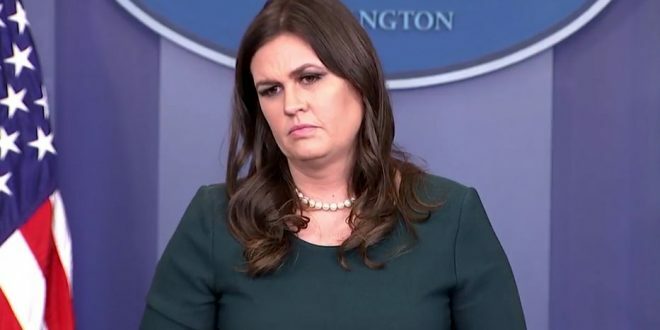 “The president’s focus is on our long-term economic fundamentals, which remain exceptionally strong,” White House press secretary Sarah Huckabee Sanders said in a statement. Sanders cited U.S. gross-domestic product growth, low unemployment and rising wages. She said the GOP tax cuts and Trump’s efforts to slash regulations “will further enhance the U.S. economy and continue to increase prosperity for the American people.” The White House is trying to deflect criticism after the Dow Jones Industrial Average fell more than 1,100 points on Monday in the largest one-day loss in its history.